AJ Styles is undoubtedly one of the greatest wrestlers to ever grace the sport of professional wrestling. A two time IWGP Champion, and the second leader of Bullet Club, Styles has increased the value of titles whenever he has held championships throughout his career. He amazes the fans regardless of where he is performing or who he is facing, and he has had so many moments and matches that highlight just how amazing he is in the ring. What is it that makes him phenomenal? Matches, promos, or events? The answer is all of the above. AJ Styles has proven why he is known as The Phenomenal One, and here are the 3 best matches of AJ Styles in NJPW. A performer's success isn't simply due to the work they individually put into a match, but the chemistry they demonstrate with the opposition. 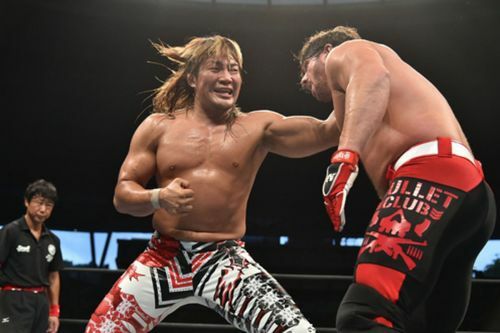 One of New Japan Pro wrestling's elite talents, Hiroshi Tanahashi, showcased his skills against Styles during their G1 Climax match-up in 2015. 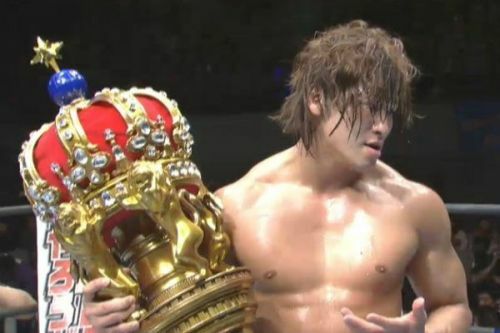 Styles had competed around the world, and faced the best, but a match against the legendary Tanahashi could still prove to be a bit intimidating. What was remarkable about this match-up was that it was requested by Tanahashi, facing Styles upon his arrival to the promotion. This final match-up against them was nothing short of phenomenal. It had stiff strikes, drama, and each worked well in their respective roles, as either the fan favourite or the heel despised by the New Japan faithful. Despite not walking away as the winner, Styles' performance was significant. Everyone who watched knew that it simply showcased how incredible he had been throughout his career. AJ Styles once stood on the opposite side of the ring from The Golden Star. Styles was defending the IWGP Heavyweight title, and was facing that year's winner of the New Japan Cup. In this bout, Styles needed to wear down the legs of Kota Ibushi who was known for his stiff kicks, and tremendous leg strength. Styles was victorious in a rather remarkable manner, via help of fellow Bullet Club member, Kenny Omega, who diverted Ibushi's attention. Styles caught Ibushi in mid air, and hit a Styles Clash to pick up the win. It was poetic, and a fine instance of AJ's in-ring brilliance.